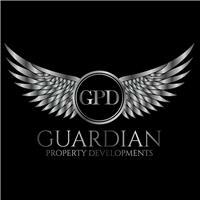 Guardian Property Developments - Builder, Plasterer based in Kidderminster, Worcestershire. As a small, family run business we pride ourselves on our high standards of workmanship and quality customer care, providing the best possible results for each and every client. We are in our 4th year as a business, but have over 15 years’ experience in the building trade and already gained a fantastic client base and reputation to match, with many clients being repeat customers and recommendations for other projects. Whether you are looking to have a room plastered, or a full renovation project, we have got you covered, with our hard working team. With every project being managed personally by our Director, we ensure you're project runs as seamlessly as possible and cover all of your needs. Whole of the Midlands, Worcestershire, Herefordshire, Gloucestershire, Shropshire Birmingham, Wolverhampton, 35 miles of Kidderminster.